Frederick Theodore Rall III (born August 26, 1963) is an American columnist, syndicated editorial cartoonist, and author. His political cartoons often appear in a multi-panel comic-strip format and frequently blend comic-strip and editorial-cartoon conventions. The cartoons appear in approximately 100 newspapers around the United States. He was president of the Association of American Editorial Cartoonists from 2008 to 2009. Rall draws three editorial cartoons a week for syndication, draws illustrations on a freelance basis, writes a weekly syndicated column, and edits the Attitude series of alternative cartooning anthologies and spin-off collections by up-and-coming cartoonists. He writes and draws cartoons for the tech and politics news site founded by journalist Gina Smith, aNewDomain, and is the editor-in-chief of the satirical news website skewednews.net. Rall also writes and draws cartoons for Sputnik International, a news website platform established by the Russian government-owned news agency Rossiya Segodnya. He is an award-winning graphic novelist and the author of non-fiction books about domestic and international current affairs. He also travels to and writes about Central Asia, a region he believes to be pivotal to U.S. foreign policy concerns. In November 2001 he went to Afghanistan as a war correspondent for The Village Voice and KFI Radio in Los Angeles. He returned to Afghanistan in August 2010, traveling independently and unembedded throughout the country, filing daily "cartoon blogs" by satellite. Frederick Theodore Rall III was born in Cambridge, Massachusetts, in 1963, and raised in Kettering, Ohio, near Dayton. He graduated from Fairmont West High School, in 1981. From 1981 to 1984, Rall attended Columbia University's engineering school, where he contributed cartoons to the campus newspapers, including the Columbia Daily Spectator, Barnard Bulletin, and the Jester. He failed to complete his studies in the engineering school, where he majored in applied physics and nuclear engineering, but returned to graduate several years later from Columbia's School of General Studies in 1991 with a bachelor of arts, with honors, in history. Rall says his drawing style was originally influenced by Mike Peters, the editorial cartoonist at his hometown paper, the Dayton Daily News. Later influences included Jules Feiffer, Garry Trudeau, Charles Schulz, and Matt Groening. Rall's 1990s work focused on the issues and concerns surrounding twentysomethings and Generation X, terms coined in the late 1980s to describe people born in the 1960s. While living in San Francisco Rall met Dave Eggers, who hired him as a contributing editor and writer for Might magazine, a publication Eggers edited and co-founded. Among other essays, Rall authored two seminal essays for Might, "Confessions of an Investment Banker" and "College is for Suckers." He wrote op/ed columns for The New York Times, including "Why I Will Not Vote" (1994), which justified apathy among Generation Xers who saw neither Democrats nor Republicans responding to their concerns. In 1998 Rall published "Revenge of the Latchkey Kids", a compendium of essays and cartoons that criticized the Baby Boomer-dominated media for ignoring and ridiculing young adults and their achievements. Rall's cartoons have been handled by San Francisco Chronicle Features, no longer in business, and — since 1996 — by Universal Press Syndicate. Rall's cartoons have appeared regularly in Rolling Stone, Time, Fortune and Men's Health magazines, and were for several years the most reproduced cartoons in the New York Times. He has also written and drawn for Mad magazine. Rall began frequent travels to Central Asia in 1997, when he attempted to drive the Silk Road from Beijing to Istanbul via China, Kazakhstan, Kyrgyzstan, Uzbekistan, and Turkmenistan as a staff writer for P.O.V. magazine. P.O.V. published his adventures as Silk Road to Ruin, a title he used for his 2006 collection of essays and cartoons about Central Asia. Rall returned to the region for POV in 1999 to travel the Karakoram Highway from Kashgar, in western China, to Islamabad. Subsequent trips included two trips in 2000, "Stan Trek 2000"—in which Rall brought along 23 listeners to his radio show for a bus journey from Turkmenistan to Kyrgyzstan via Uzbekistan and Kazakhstan—and a U.S. State Department-sponsored visit to Turkmenistan, where he met with Turkmen college students and dissidents to explain the nature of free press in a democracy. A 2002 assignment for Gear magazine to cover the world championships of buzkashi in Tajikistan was not published due to the magazine's going out of business, but turned up in an edited form in Silk Road to Ruin. He returned to Tajikistan, Xinjiang Province in western China and Pakistan during the summer of 2007. The Attitude: The New Subversive Cartoonists series of books is a series of anthologies of alternative comics edited by Rall. Frustrated that cartoons prevalent in alternative weekly newspapers were being ignored in favor of mainstream and art comics, Rall edited the first "Attitude" anthology, Attitude: The New Subversive Political Cartoonists, in 2002, with its mission to bring together cartoonists who were "too alternative for the mainstream and too mainstream for the alternative." Attitude 2: The New Subversive Alternative Cartoonists followed in 2004, and in 2006 Attitude 3: The New Subversive Online Cartoonists appeared. Each volume contains interviews with, cartoons by and personal ephemera related to 21 different cartoon creators. The first and second volumes emphasized political and humor cartoons; the third volume exclusively features web cartoonists. Rall also edited three cartoons collections by Andy Singer, Neil Swaab, and Stephanie McMillan under the name "Attitude Presents:". From 2006 to 2009, Rall was Editor of Acquisitions and Development at the comic strip syndicate United Media. While there, he helped bring to syndication Keith Knight's The Knight Life, Signe Wilkinson's Family Tree, Tak Toyoshima's Secret Asian Man, Dan Thompson's Rip Haywire, and Richard Stevens' Diesel Sweeties. Rall's work includes the book The Anti-American Manifesto (Seven Stories Press), published in September 2010. His book, The Book of Obama: From Hope and Change to the Age of Revolt (Seven Stories Press) was released in July 2012. Rall was a frequent guest on Hannity & Colmes, as well as the BBC and NPR. He contributes a cartoon called "Left Coast" to the Pasadena Weekly. In February 2005, BBC television broadcast a 30-minute profile of Rall as part of their series Cartoonists on the Front Line. Rall maintains a blog at his website. Rall released a series of animated political cartoons on his website and on YouTube in collaboration with David Essman. Rall had a Saturday and Sunday radio talk show on KFI radio in Los Angeles from August 1998 to August 2000. After 9/11, KFI brought him back to travel to Afghanistan and file live on-air reports from the battle of Kunduz and elsewhere in northern Afghanistan. Rall's show was also broadcast live from Havana as well as Pakistani-held Kashmir. In 2005 he had a weekend show on San Francisco's KIFR-FM. Rall has been a frequent guest on National Public Radio, the BBC and Fox Radio. 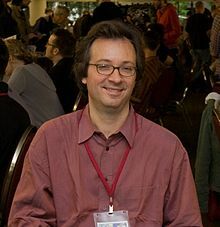 Ted Rall was a columnist at the first online daily, The American Reporter, from 1997-1999. A panel from a Ted Rall cartoon satirizing Antonin Scalia's remark that he saw nothing wrong with "slapping" terrorism suspects. In 2009 Rall called for Barack Obama to resign as President of the United States, because "the gap between the soaring expectations that accompanied Barack Obama's inauguration and his wretched performance is the broadest such chasm in recent historical memory. This guy makes Bill Clinton look like a paragon of integrity and follow-through." Rall is an atheist and writes some cartoons dealing with these views. In December 2016, Rall presented what he called a "manifesto" to "topple Trumpism." Less than a year and a half later, however, he predicted "that Mr. Trump would not only finish his term but win re-election, due to the divisions within the Democratic Party." Ted Rall endorsed Jill Stein in the 2016 election. In 1999, Rall wrote an article in The Village Voice accusing Maus creator Art Spiegelman of lacking talent and controlling who gets high-profile assignments from magazines such as The New Yorker through personal connections, including his wife, a New Yorker editor. In retaliation for Rall's piece, New York Press illustrator Danny Hellman sent two sets of e-mails under Rall's name to at least 35 cartoonists and editors, including Rall's employers. After Rall tracked down Hellman's identity, Hellman ignored Rall's cease-and-desist letters. After several weeks, Rall filed a $1.5-million lawsuit for libel per se, libel per quod, injurious falsehood, violation of civil rights, and intentional infliction of emotional distress. Rall's suit stated that Hellman was attempting to sabotage his career. Four of Rall's five claims were dismissed, leaving libel per se. The lawsuit remains unresolved. In a Rall cartoon from May 3, 2004, Pat Tillman (a former Arizona Cardinals player who abandoned his NFL career to enlist in the United States Army Rangers and was killed in Afghanistan) is depicted asking an Army recruiter, "Never mind the fine print. Will I get to kill Arabs?" The narrator points out that he was killed and the reader is then given a choice: "idiot," "sap," or "hero." Later, after Tillman's anti–Iraq War sentiments and the friendly fire circumstances of his death became public, Rall wrote that he regretted making such sweeping assumptions about Tillman's motives, describing Tillman as "one hell of an interesting human being." A November 8, 2004, cartoon depicted mentally disabled children as classroom teachers in an attempt to make an analogy to American voters who reelected Bush, drawing complaints from advocates for the disabled and led to his cartoons being dropped from The Washington Post's website. Rall responded in his blog saying: "I regret hurting people who I have nothing against. I do want to comfort the afflicted and afflict the comfortable, and I think I failed in that with this cartoon. Not to mention that the cartoon failed—too many people got bogged down in the analogy and the main point got lost." On October 22, 2007, Rall published a cartoon saying "Over time, however, the endless war in Iraq began to play a role in natural selection. Only idiots signed up; only idiots died. Back home, the average I.Q. soared." That caused an uproar by military supporters both conservative and liberal alike. Rall is listed at #15 in Bernard Goldberg's book 100 People Who Are Screwing Up America as a "vicious, conspiracy-minded, hate-filled jerk". Rall perceived the listing as an honor, replying, "Not only am I grouped with many people whom I admire for their achievements and patriotism, I'm being demonized by McCarthyite thugs I despise." Rall solicited funds from readers and left-wing bloggers while considering whether to sue Ann Coulter for libel and slander for her (later self-described as "joking") statement that, "Iran is soliciting cartoons on the Holocaust. So far, only Ted Rall, Garry Trudeau, and The New York Times have made submissions." Coulter first made the remark at the 2006 Conservative Political Action Conference meeting in Washington, D.C. on February 10 and then printed it in her syndicated column the following week. By 18 days later, pledges totaled over $21,000. However, pledges are no longer being solicited, and in a December 27, 2006 blog entry, Rall posted an email that was sent to pledged contributors to the lawsuit, stating that his attorneys had determined, "The road ahead is too uncertain to justify spending thousands of dollars of pledges, not to mention my own money". In July 2015, the Los Angeles Times released a "note to readers" stating that Rall had been dropped from the paper because of allegations that he had lied about a police encounter in 2001. The Los Angeles Police Department claimed that Rall misrepresented the encounter in a May 2015 opinion blog post he wrote about enforcement of jaywalking laws in Los Angeles. LAPD Chief Charlie Beck, whom Rall had repeatedly mocked in his cartoons for the Times, provided a copy of an audio recording of the encounter (the location of the original microcassette, and whether it still exists, remains unknown) that the Times found to "raise serious questions about the accuracy of Rall's blog post". The Times told readers the source was the LAPD, protecting Beck's anonymity despite the newspaper's ethics policies, which prohibit the use of anonymous sources. Rall stood by his version of the incident. Another version of the recording, which Rall posted online after having it restored by sound engineers, included sounds of bystanders talking. One person is heard saying "you need to take off the [unintelligible]" which may have referred to handcuffs. The Association of American Editorial Cartoonists issued a statement calling for an independent investigation of the tape. On August 19, the Times issued a lengthy statement reaffirming its conclusion that Rall's original blog post "did not meet its standards". In it, they reported they had the audio recording investigated by two audio and video forensics experts and it still did not support Rall's version of the event. In March 2016, Rall filed suit against the Times for defamation of character and wrongful termination; in June 2017, the judge in the case dismissed claims against four individuals for defamation and intentional infliction of emotional distress; claims against the former and current Times corporate ownership remain. Rall appealed the lower-court dismissal to the California Court of Appeals. On January 17, 2019, the Court of Appeals published an opinion affirming the dismissal. 1997: First Prize, Firecracker Alternative Press Award, for "Real Americans Admit: The Worst Thing I've Ever Done!" 2001: Amazon's Best Books of the Year, for "2024: A Graphic Novel"
2002: Best Book of the Year, American Library Association, for "To Afghanistan and Back"
^ "Ted Rall author page, aNewDomain.net". aNewDomain. aNewDomain Media. Retrieved 4 July 2017. ^ MacDonald, Heidi. "Universal Uclick to syndicate United's comic strips," The Beat (February 24, 2011). ^ "The Anti-American Manifesto". Sevenstories.com. Retrieved 2012-06-28. ^ "The Book of Obama, From Hope and Change to the Age of Revolt". Sevenstories.com. Retrieved 2012-06-28. ^ Rall, Ted (December 2015). Ted Rall Manifesto: Why Libs and Lefties Must Unite To Topple Trumpism. A New Domain. Retrieved January 30, 2017. ^ "Ted Rall Editorial Cartoon, May 3, 2004 on GoComics.com". Ucomics.com. 2004-05-03. Retrieved 2012-06-28. ^ "Search and Destroy: Pat Tillman Redux". Rall.com. October 8, 2005. Archived from the original on July 18, 2012. Retrieved 2012-06-28. ^ "Ted Rall Editorial Cartoon, November 08, 2004 on GoComics.com". Ucomics.com. 2004-11-08. Retrieved 2012-06-28. ^ "Ted Rall: Only Idiots Die in Iraq, US IQ Soars". Little Green Footballs. October 25, 2007. Retrieved 2012-06-28. ^ Beam, Alex (August 2, 2005). "Attacking liberals is high on his list". The Boston Globe. Archived from the original on May 23, 2006. ^ "Search and Destroy: February 2006". Tedrall.com. 2006-02-16. Retrieved 2012-06-28. ^ Astor, Dave (February 13, 2006). "Ted Rall Says He Might Sue Ann Coulter for Holocaust Cartoon Remark". Editor & Publisher. Archived from the original on February 28, 2006. Retrieved April 17, 2006. ^ "Search and Destroy: Happy New Year, Ann Coulter". Tedrall.com. December 27, 2006. Retrieved 2012-06-28. ^ a b "Editor's Note: a note to readers", Los Angeles Times, July 28, 2015. ^ Ted Rall, "LAPD's crosswalk crackdown: Don't police have something better to do?" Los Angeles Times, May 11, 2015. ^ "Cartoonist Ousted By Los Angeles Times Speaks Out", KCBS-TV, July 29, 2015. ^ Ted Rall, "Ted Rall-LAPD-LATimes Battle: New Tape Proves Cops Lied ", A New Domain, July 31, 2015. ^ Sam Thielman, "Fired Los Angeles Times cartoonist hits back at newspaper for siding with LAPD", The Guardian, August 15, 2015. ^ Benjamin Mullin, "Cartoonists call for review of tape used as evidence to cut ties with Ted Rall", Poynter.org, August 14, 2015. ^ "Times reaffirms decision that Ted Rall's blog post did not meet its standards", Los Angeles Times, August 19, 2015. ^ "L.A. Times is sued by cartoonist over questioning of his blog post's accuracy", Los Angeles Times, March 17, 2016. ^ Kuldell, Heather (May 3, 2007). "2007 AltWeekly Awards Finalists Announced". Association of Alternative Newsmedia. Retrieved 2012-06-28. ^ "Fair Courts Project". Lambda Legal. Retrieved 2012-06-28. ^ "'Grading the Teachers' wins Scripps Howard public service award". Readers' Representative Journal (blog). Los Angeles Times. March 18, 2011. Retrieved 2012-06-28. ^ Zaragoza, Jason (July 22, 2011). "2011 AltWeekly Awards Winners Announced". Association of Alternative Newsmedia. Retrieved 2012-06-28.